A practical and hands on course which enables learners to develop the principal skills and knowledge required to work in the culinary / food industry. The course offers major award certification at QQI levels 3 and 4. The course covers areas such as food preparation and handling, cookery techniques, safe and hygienic food practices and also enables learners to gain HACCP certification which is required for all people who wish to work in the culinary / food industry. MENU PLANNING, CATERING OPERATIONS AND SYSTEMS, CULINARY TECHNIQUES, PASTRY, BAKING AND DESSERTS, PERSONAL EFFECTIVENESS, WORK EXPERIENCE, IT, COMMUNICATIONS, ART. Straight into full or part-time employment in Cork restaurants or hotels, delis, food factories, food stalls, butchers, hotel or restaurant management. Advance to College of Commerce to the food and hospitality courses or CIT to the culinary arts programmes. 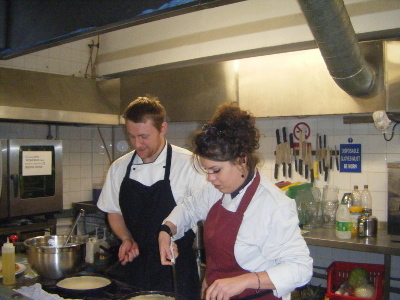 Chef apprenticeships in participating establishments.